I work for MathWorks as a Quality Engineer for the Parallel Computing Toolbox. I'm mostly responsible for testing that MATLAB works on cloud clusters. I also have a PhD in Computer Science studying evolutionary swarm robotics. What I look like, in case you need to know. My dad complained that the original picture wasn't dynamic and go-getting enough, so now there are photos of me, one of which will be randomly selected for your viewing pleasure. I used to be an Application Support Engineer at MathWorks. I helped provide technical support for MATLAB users across Europe! Whilst I was an Application Support Engineer, I had the opportunity to work on some interesting projects within MathWorks. Mostly I help write unit tests for MATLAB's Parallel Computing Toolbox. I wrote some unit tests for the popular GUI Layout Toolbox. 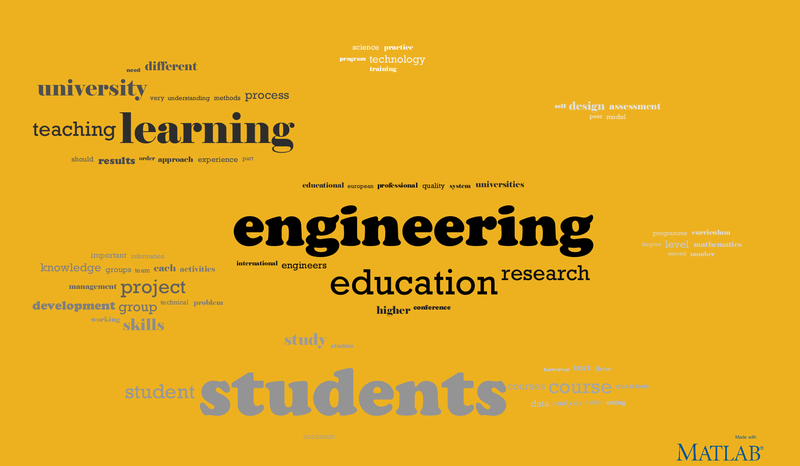 A Word Cloud generator and text data visualisation MATLAB app. My qualifying dissertation "Investigating the Link Between Complexity and Evolution in Swarm Robotic Systems" (which is a literature survey and a compulsory part of my PhD) won the K.M. Stott Prize for the Best Qualifying Dissertation of 2009 in the Department of Computer Science.